Sugar is the No.1 enemy when it comes to attacking teeth and sometimes it isn’t until your dentist in Southampton tells you that you have a decaying tooth which needs filling, that you know anything about it. The thing is, many of the foods we eat are full of hidden sugars and all of us need to take more responsibility for what we’re putting into our mouths if we want to keep our teeth for longer. Bacteria feeds off sugar that clings to the teeth, and in doing so this produces an acid which attacks tooth enamel and begins to wear it away. Recent studies carried out by the World Health Organisation in 2014 confirm the fact that as sugar consumption increases so too does the amount of cavities. These same studies also show that increased levels of sugar can raise the risk of heart disease and diabetes. As a result the World Health Organisation recommends that sugar consumption be cut by as much as 50% meaning that the calorific intake should be 5% or less of an individual’s daily diet. According to the most recent figures available in the UK the average daily percentage of sugar (not natural sugars already in food) equates to 14.7% for children, 15.6% for adolescents, and 12.1% for adults. So how can you cut back on sugar? In addition beware of any ingredients ending in “sugar”, “-ose” and “syrup” as these are all alternative names for sugar. You don’t have to stop eating sugar completely in order to benefit from a healthy lifestyle and healthy teeth and this is why it’s so important to incorporate a regular brushing and flossing routine into your day as well as attending regular six monthly check ups with your Southampton dentist. Here at Smilemakers, Dr Thomas Darling is keen to help you have a healthier and happier lifestyle. So, if you’ve any questions or concerns about your oral health then please get in touch with us by calling 02380 442626 and booking a reduced price new patient examination. For more information on the treatments we provide then visit our website at www.smilemakers.co.uk. This entry was posted in Healthy Teeth on 8th June, 2015 by Smilemakers. How Can I Ensure My Dental Implants Are Long Lasting? When it comes to replacing missing teeth then dental implants are commonly regarded as the best option. Not only do they look totally natural but since they replicate all the parts of a missing tooth, including the root, they act and feel just like the real thing, and if cared for properly have been proven to last for at least 40 years. While dental implants have a great many benefits to offer, one of their downsides is their cost, which doesn’t come cheap, so it stands to reason that if you’re considering what is a substantial amount of money in most people’s book, then you want to know ways of making sure that your implants last for some considerable time. This isn’t to say that you can’t have dental implants and all cases will be looked at individually. However, if we feel that you would be a good candidate then the success rate is likely to be around 95-98%. It’s also an important requirement that you have sufficient bone in your jaw to support an implant. The bone actually bonds with the titanium post which is inserted into your jaw bone and this provides a stable platform on which to fix prosthetic teeth. It also puts an end to any further bone loss which may have occurred. To keep your implants healthy, it’s vital to follow post op instructions and thereafter to care for your implants as you would your natural teeth. It’s critical to maintain good levels of oral hygiene and to keep your gums healthy and free from plaque. It’s also important to maintain the health of your remaining teeth. Adopt a routine of regular brushing and flossing, both between your natural teeth and around the abutments which hold your prosthetic teeth in place. By making this kind of care an everyday habit it will prevent gum disease which can endanger implants, and stop your other teeth from decaying. You must schedule regular appointments with your cosmetic dentist in Southampton too so that he can check on progress and ensure there are no problems or signs of gum disease. Should you develop gum disease this can seriously impact on your implants and may even lead to them loosening and falling out. If you’re considering dental implants in Southampton or would like to know more about them, then why not call Smilemakers on 02380 442626 to book a consultation. 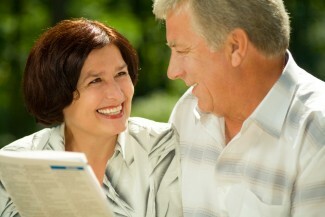 We can answer all of your questions and concerns and determine if implants are right for you. For more information on all the treatments we offer visit our website at www.smilemakers.co.uk. This entry was posted in Dental Implants on 1st June, 2015 by Smilemakers. Just two little words “smile please” and while many of us are more than happy to turn on a smile for the camera there are many more that aren’t. Take one of the most important days in a person’s life for example – their wedding day. Just imagine how many times they and their guests could be hearing those words as the wedding photographer goes all out to create a fairy tale wedding album that will be cherished in years to come. As a cosmetic dentist in Southampton, one of our most popular treatments is teeth whitening and it’s requested for a number of different reasons. All brides want their wedding day to be perfect and ensuring that they have a healthy white smile for their special day is often high on the agenda. Tooth whitening is one of the most dramatic ways of improving a smile and is simple, fast, and cost effective. The treatment causes no pain and is safe and long lasting. We’ve also been approached by several ‘mothers of the bride’ who have been prompted into getting their misaligned teeth straightened for the big day. Often, these are ladies who for whatever reason didn’t wear a brace when they were younger and as they got older were reluctant to entertain the thought of metal braces. The good news is that thanks to modern dental technology we can now offer a wide range of alternatives to metal braces such as clear braces and aligners. Not only are these devices discreet and virtually invisible, but they also work much faster than traditional braces, which means that the bride’s mother could have straight teeth in as little as 3-6 months. Veneers are an alternative to teeth whitening and in some instances, provided misalignment is only minor, they can be used in place of orthodontic treatment. A patient’s teeth can be whitened first to remove any staining and then the veneers can be colour matched so that they blend in seamlessly. Likened to a false nail, they’re extremely thin layers of porcelain which fit over the entire tooth and can be used to hide badly stained teeth, cracks, and chips as well as correct small gaps between teeth and align teeth which are slightly out of position. If you’re looking to have your teeth whitened for a special occasion or you feel it’s the right time to address the issue of a crooked smile, then as a general and cosmetic dentist in Southampton, we’d be delighted to help. Why not give Smilemakers a call on 02380 442626 and arrange a consultation with Dr. Thomas Darling and he’ll talk you through your options. We’ll soon get you smiling! This entry was posted in Cosmetic Dentistry on 25th May, 2015 by Smilemakers. A visit to the dentist is only necessary if you have toothache – You’d be surprised how many people believe that if they’re not suffering any pain from their teeth, then their oral hygiene must be up to speed, and why should they bother to visit a dentist. The thing is, tooth pain is often an advanced indication that there is a problem and by this time, the damage could be so extensive that the only solution is extraction. Patients can still develop common conditions without there being any obvious symptoms which is why we recommend regular six monthly check-ups so that any problems can be diagnosed in their early stages and treated right away. Brushing and flossing should be stopped if your gums bleed – If you notice blood when you brush your teeth or floss, then we understand how you could think the best thing to do is to stop brushing since it may be doing more harm than good to your gums. However, this notion is totally false. While you should be brushing at least twice a day using a soft toothbrush and flossing between your teeth once day, you should never stop just because your gums are bleeding. This is a sign that your gums are inflamed and possibly irritated by plaque and tartar. If you notice bleeding then continue as usual with brushing and flossing but make an appointment with your dentist for a check-up as quickly as you can. White teeth are healthy – Although most of associate brilliant white teeth with a healthy smile and good oral health, this is not always the case. Although white teeth certainly look attractive it doesn’t necessarily mean they are healthy. The reason for this is that many oral conditions such as infections or tooth decay don’t produce signs which are clearly visible. For example, your teeth could be moderately infected but still look white and healthy. For this reason, it’s important to attend regular check-ups with your dentist in Southampton. If you haven’t had a dental check-up recently then perhaps it’s time you did. Don’t worry we aren’t here to judge but we are here to help get your oral hygiene back on track. If you live in or around Southampton, then why not give Smilemakers a call today on 02380 442626 and book a consultation with Dr, Thomas Darling. We’re a general and cosmetic dentist in Southampton who are committed to providing friendly dental care for all your family. This entry was posted in Cosmetic Dentistry on 18th May, 2015 by Smilemakers. As anyone who has badly stained teeth, or teeth that are chipped or cracked, they’re only too aware of how unattractive this makes what would otherwise be a quite pleasant smile. In the past problems such as these would usually be covered with dental crowns but nowadays at our Southampton Dental clinic we often recommend using veneers instead. Veneers give a person the chance to totally transform their smile for the better without having to restructure their teeth and, in the case of minor misalignments, without the need to wear a brace. When the teeth are prepared for a veneer just a small layer of enamel is removed whereas in order to have a crown fitted, the whole of the tooth will have to be modified to make room for it. In certain circumstances where the tooth has undergone major damage then a crown may be the better option. These situations include teeth that are severely cracked or where root canal treatment has taken place. In cases such as these a crown will be used to keep the tooth intact and prevent it from further damage which could result in extraction being necessary. If your smile is letting you down then why not get in touch with Smile Makers and arrange an appointment with Dr. Thomas Darling. As a Southampton cosmetic dentist, he’ll examine your teeth and recommend the best treatments to give you a perfect healthy smile. Call today on 02380 442626 to make an appointment or visit our website at www.smilemakers.co.uk to find out more about all the treatments that we offer. This entry was posted in Cosmetic Dentistry on 11th May, 2015 by Smilemakers. Most of us snore from time to time when we have a heavy cold or a blocked nose but for others it can be a long term condition which causes rifts between couples where one is kept awake during the night by loud snoring. Often the cause for bad jokes, snoring really is no laughing manner and habitual snoring can be an indication of a more dangerous condition known as sleep apnea. This disorder has been linked to conditions such as heart disease, high blood pressure, Type 2 diabetes, asthma, and weight gain. It’s important to distinguish between snoring and sleep apnea so it’s a good idea to have a word with your doctor, particularly if you wake up gasping or choking, have a sore throat, feel particularly sleepy during the day, or experience chest pain at night. The good news is that most Southampton dentists can also help with snoring, so for the sake of your health and your relationships, please come and see us as soon as you can! Snoring is the harsh sound that is made when your breathing is in some way restricted when you’re asleep. It takes place when air flows past the relaxed muscles in your throat and causes the soft tissues to vibrate as you breathe, which results in those annoying noises that keep your partner awake. We can fit you with a special device to wear overnight which keeps the airway open, reducing the chance of your snoring, by pulling the bottom jaw and tongue forwards. Most of our patients have found this appliance to be very effective and while costing just a few hundred pounds, most of them regard it as money well spent. All is requires is a couple of impressions in order for a custom device to be fabricated. Changing your sleeping position– Many people who sleep on their backs find themselves snoring so it may be an idea to lay on your side. It’s also helpful to avoid heavy meals, caffeine, and alcohol particularly within a couple of hours of bedtime. Lose weight – Just by losing as little as 10 pounds, you ‘ll feel more healthy and your snoring may well disappear. Steer clear of sedatives – These can relax your throat muscles which in turn increases the chance of your airway being restricted, leading to snoring. Here at Smilemakers we’re an orthodontic and cosmetic dentist in Southampton and have been helping our patients with all types of teeth and related problems for many years. Why not give Dr Thomas Darling and the team a call on 02380 442626 and see how we can help you. Alternatively check out our website at www.smilemakers.co.uk where you’ll find plenty of information on all the treatments that we offer. This entry was posted in Snoring on 4th May, 2015 by Smilemakers. As a cosmetic dentist in Southampton we’re seeing more and more patients enquiring about dental implants to replace their missing teeth and one of the most commonly asked questions is whether anyone can have dental implants. Generally speaking any adult who has lost a tooth or teeth could be considered a possible candidate for a dental implant but whether or not it is a suitable option for them depends on a number of factors. Dental implants aren’t for everyone which is why we ask patients to attend an initial consultation to meet Dr Thomas Darling and the team so that their case can be assessed and a decision made. A thorough oral examination will need to be carried out, medical history delved into, and X-rays taken to check for suitability. It also gives patients a chance to voice their concerns and get any questions answered before deciding whether to go ahead. We take candidate suitability very seriously since it can make all the different to implant success. Sufficient jawbone – Since a dental implant needs to fuse with the bone in the jaw, then it is essential that there is a good supply of healthy bone in that area. Failure to bond with the jaw in a process known as osseointegration is one of the main reasons for implant failure. If a patient doesn’t have sufficient bone then it may be possible to carry out a bone graft prior to surgery. If you’ve lost a tooth, then it’s important to replace it as soon as possible since the jawbone gradually starts to deteriorate following the loss of a tooth. No gum disease – Any dentist in Southampton will tell you that gum disease is deadly to teeth and is the main cause of tooth loss. It can also pose a high threat to dental implants and is often the cause of implant failure. Therefore, if a patient has gum disease then this will have to first be treated before dental implant surgery could be considered. Good overall health – Being fit and healthy will assure your dentist and oral surgeon that you can handle the treatment as well as any complications or risks associated with implant surgery. If you have a chronic illness such as diabetes or leukaemia or have undergone radiation treatment in the jaw or neck area, then you may not be considered suitable. Smokers too, may be asked to quit for several weeks prior to surgery and for the duration of the healing time, as smoking is known to interfere with the healing process. This entry was posted in Dental Implants on 27th April, 2015 by Smilemakers. Some people who regularly attend six monthly check ups with their Southampton dentist may wonder why they need bother with making a separate appointment with the hygienist. Dental hygienists are an important part of any dental team and are specially trained to give additional care to patients. Their main role is to educate patients about preventative dental care and to treat gum disease, by showing them the correct way to care for their teeth at home. They’re also there to advice on all matters to do with oral health. Their job role can be divided into 4 main categories which are designed to help each and every patient, so why not read on to see how you can benefit. Discussing tried and tested oral products, as well as those products new to the market. Here at Smilemakers our hygienists are also qualified to administer local anaesthetics, seal children’s teeth and carry out tooth whitening. Always having time to answer your questions, we couldn’t be without them! If you’re looking for a friendly Southampton dental clinic with highly experienced dentists and a fantastic support team, then why not contact us on 02380 442626 or call in to see us. If you’re in need of tooth replacement, teeth straightening, or even fancy a smile makeover, then as a cosmetic dentist in Southampton, we can help in that respect too. Why not take a look at our website at www.smilemakers.co.uk to find out more. This entry was posted in Cosmetic Dentistry on 20th April, 2015 by Smilemakers. As a Southampton dentist we’re here to help our patients achieve a healthy looking smile which not only makes a person appear younger than their years but is also an indication that they’re in good overall health too. We all tend to think of dull teeth being associated with old age, and it’s true that the enamel coating on teeth does darken over time. Not only does this habit keep the doctor away but according to Southampton cosmetic dentist, Dr Thomas Darling, it’s good for your teeth too. Crunchy foods such as celery, apples, and carrots help to scrub away stubborn stains the more you eat them, similar to your toothbrush. You may even visibly notice the cleansing effect, especially if you are a coffee drinker who wasn’t previously eating an apple every day. If you start to eat an apple between meals and don’t brush your teeth afterwards, then be sure to drink a glass of water to remove any acid, sugar, and plaque that it may have dislodged from your tooth enamel. Just as calcium is good for your bones so it’s good for your teeth too. According to a study carried out by The Dairy Council, a person who consumes 800mg a day has less chance of developing severe gum disease. The reason for this is that 99% of the calcium found in your body is contained in the bones and teeth. Dairy products such as milk, cheese, and yoghurt help to strengthen the jaw bone or alveolar, which helps to keep the teeth in place. It’s recommended that men and women under the age of 50 consume 1000 mg a day and those older than 51, should aim for 1200 mg a day. As an example, a small glass of milk, one yoghurt, or small piece of cheese, yields around 300mg each. If you struggle with eating dairy products, then you could take a calcium supplement instead. Even carbs which aren’t especially sweet such as a whole wheat roll or a packet of crisps can be practically as damaging to your teeth (and your waistline) as a slice of chocolate cake, if you don’t take care. The reason for this is that all carbs break down into simple sugar which bacteria in the mouth turns into plaque, which is the main cause of gum disease and cavities. Carbohydrate based foods such as bread, crisps, and crackers, tend to be chewy with a texture that easily gets trapped in between teeth or below the gum line where bacteria can accumulate. The tip here is to limit your carbs to mealtimes rather than having them as a snack. When you eat a larger meal, the mouth produces more saliva which is the body’s way of washing away particles of food. Get into the habits listed above and you can help keep protect your teeth between six monthly check-ups. If you’re looking for a dentist in Southampton, then why not contact Smilemakers. We’re here to help or advice you on anything to do with your oral care. Give us a call on 02380 442626 or check out our web site at www.smilemakers.co.uk where you’ll find a wealth of information on the treatment we provide and more besides. This entry was posted in Cosmetic Dentistry on 13th April, 2015 by Smilemakers. At Smilemakers most people come to see their Southampton dentist because of a problem that needs rectifying. The trouble is is that in some cases such as dental resorption there isn’t always an identifiable cause. People spend a lot of energy in life trying to do the right thing. Whether this is exercising regularly, eating a well-balanced diet for weight control, following the rules of the road so as to avoid accidents, or maintaining good oral hygiene. Even so, illness, accidents, and misfortunes can occur without any real reason. To this end there’s really nothing we can do except to minimise the risk of something happening. Unfortunately dental resorption is one of these ‘misfortunes’ that can occur without rhyme or reason. Even though there’s much debate over the causes behind dental resorption there is of yet no definitive answer and this is why treatment is geared towards its cure rather than it’s prevention. With internal resorption the problems usually start from deep inside the tooth root and then work their way outwards. It can get to a point whereby the healthy part of the tooth believes it’s under attack and lays siege to the poorly tooth root. If not spotted and treated resorption will continue until the tooth can no longer be saved. What’s more it doesn’t stop there. Just as a rotten apple in a fruit bowl will affect nearby healthy pieces of fruit, resorption can easily spread to other nearby teeth and gums. External issues are a little more complex to deal with than internal resorption because problems start on the outside of the tooth root in multiple places and work their way inwards. These areas include..
As with any type of resorption there is generally no pain, and in some cases, no obvious signs. This is why regular visits to your Southampton dentist are key. When you visit your dental clinic as part of a six monthly check-up, X-rays should be taken at least every three years. If you do happen to be diagnosed with either internal of external resorption, then you’ll be pleased to know that there are a lot more effective treatments on the market now, making it a curable problem, if caught early enough. This is why regular dental visits are vital, even if you don’t feel you have any dental problems. To book your six monthly check-up speak to Dr Thomas Darling and the team at Smilemakers. Aside from being your cosmetic dentist in Southampton we also deal in general dental treatments including regular check-ups. Contact us on 02380 442626 and feel safe in the knowledge that we’re watching out for your dental health. This entry was posted in Cosmetic Dentistry on 6th April, 2015 by Smilemakers.